Resilience. With various ways and paths to deliver availability for applications to travel through, connection problems can be mitigated by switching over to another, working link. Switch is done automatically and this means that the threat of network loading is minimized to a large extent. Simplified management. Graphical User Interface is standard with SD-WAN implying that networks are managed and configured using the help of icons instead of complex, technical text. Computerized machines can be configured majorly on an application’s requirements, avoiding setbacks presented by hardware. Automatic path selection means ending the need of technical expertise to switch connections in the event of an outage. Cost-effectiveness. MPLS circuits are expensive to install and expensive to scale, especially when the bandwidth is considered. 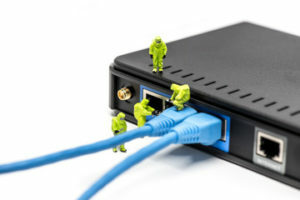 If one uses the SD-WAN, companies will have ability to enjoy lower cost and better connectivity by transferring their application traffic flows onto greatly improved, public broadband and the Internet. Will the old ways be useless then, the answer to this is no. The reason MPLS has been kept and why most businesses aren’t thinking of getting rid of it. It gives certain confidence. SD-WAN works over the internet and despite using several connections, performance and availability can never be 100% present constant. IT experts are also not able to put aside the fact that technically all MPLS services include multiple levels of quality, implying that clients can specify lowest thresholds for different types of traffic when it comes to jitter, packet loss and latency. So, take for instance, the MPLS network treats real-time traffic, like videos and audios, preferentially over less-sensitive traffic. Talking in perspectives of cost, though cheaper to install, scale and operate, IT Managers will have to choose on whether the savings are well enough to make a wholesale transfer to SD-WAN from MPLS. 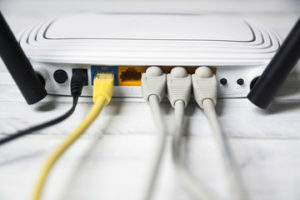 This will be strategic in the firm depending on the level and function of the internet connection. If the only reason being explored is finance, some managers may not find the margins compelling enough because the saving can range between 5-40% only.